Since joining the team at MAPCS, Shantelle has held various administrative and instructional leadership roles. As an instructional leader, she enjoys mentoring novice teachers and supporting the instructional model so all students are effectively engaged.At the core of her educational philosophy, is the sincere belief that all children have the ability to learn and want to learn despite their aptitude for learning. With this belief, comes the inherent challenge of working with students who have varying academic levels and teachers who are not willing to take risk. Shantelle recently assumed the role as Network Instructional Specialist and is excited about the opportunity to support the instructional programs at the three campuses of the Maya Angelou Schools – Maya Angelou Public Charter High School, The Young Adult Learning Center and Maya Angelou Academy @ New Beginnings. 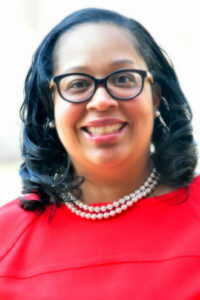 She earned her BSin Biology (Bowie State University), BS in Criminal Justice (University of Maryland) and a MSA in Educational Administration (Trinity Washington University). She is also a certified K-12 Administrator in Washington, DC.